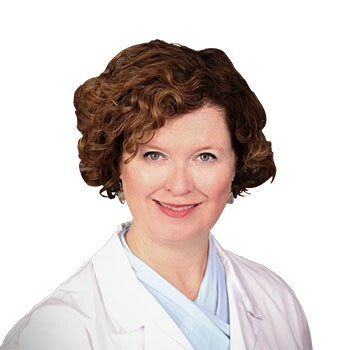 Karen Knight, M.D. 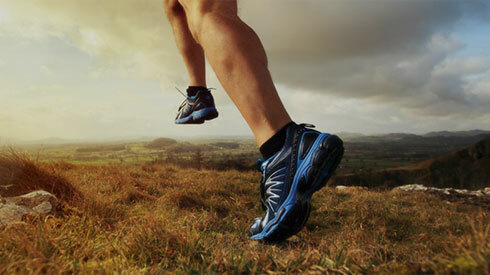 is a physical medicine and rehabilitation specialist, also known as a physiatrist. She received her medical degree from Michigan State University and went on to complete her residency was at University of Michigan. Her early career was spent in academic medicine at Case Western University in Cleveland Ohio with broad experience in both rehabilitative medicine and pain management. She was also featured nationally as a speaker on medical ethics. She is a national speaker on the ethics of pain management and she provides service to several national and international organizations as committee representative. Dr. Knight has dedicated her career to the compassionate care of individuals suffering from pain or disability from spine disorders, with the goal of returning them to optimal functioning and improving quality of life through non-operative modalities. She is board certified in Physical Medicine & Rehabilitation with additional certifications in Sports Medicine, Integrative Medicine and Pain Medicine. She has received the honor of being listed as a 5280 Top Doc several times and was awarded the National Bernard Baruch Medal. In 2016, Dr. Knight was the recipient of the Vitals Patients’ Choice Award. This award is given to only 7% of doctors who receive the top ratings and reviews on-line. Today, Dr. Knight’s primary clinical focus is interventional spine, regenerative medicine, persistent pain and wellness. She provides service to her practice with multiple committee appointments. She is passionate about helping individuals improve their pain, quality of life and function so they can participate in the lives they want to live. Her approach to helping them attain their goals includes a comprehensive assessment, including a complete medical history, physical exam, and state of the art imaging, as appropriate. She aims to provide a comprehensive treatment and rehabilitation program which may include medications, specialized physical therapy, interventional procedures or regenerative options. Dr. Knight is from a small town in Northern Michigan. She grew up on the lake where Ernest Hemingway spent his childhood. In her spare time, she is a foodie who enjoys hiking with her family and crew of canines. A little known fact about Dr. Knight is that her family owns an international craft distillery. What Dr. Knight most likes about her career is helping people achieve wellness and vitality with a special focus on musculoskeletal health. With her broad experience and deep toolbox, she provides something different in pain management and musculoskeletal wellness. Dr. Knight sees patients at Panorama’s offices in Golden and Westminster.